We were driving home from Spokane, after having attended one of the most beautiful weddings ever, and were taking in the sights around Lake Coeur d’ Alene in Idaho. After the lake ends, it turns marshy for a little ways. Now, I should probably mention here that I looove moosies. 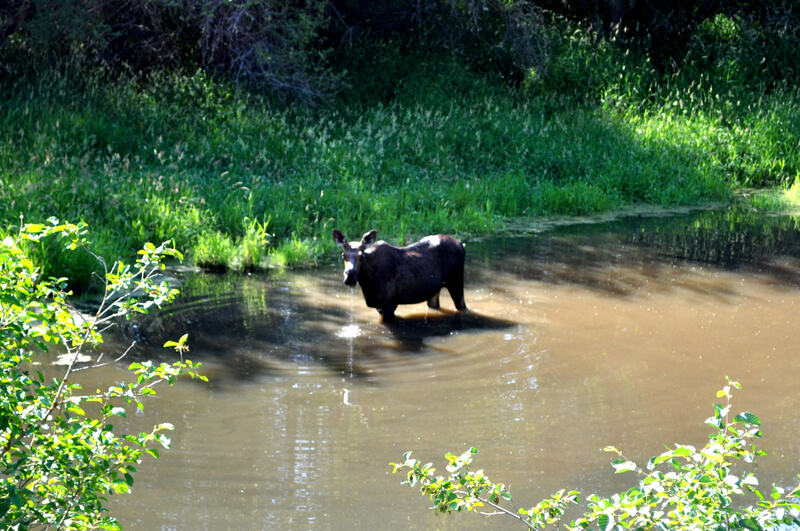 I have been dying to see one forever (it has been about 10 years since our last sighting) and I always keep my eyes open when we are near prime moose habitat. No luck, though, they are always hiding from me. 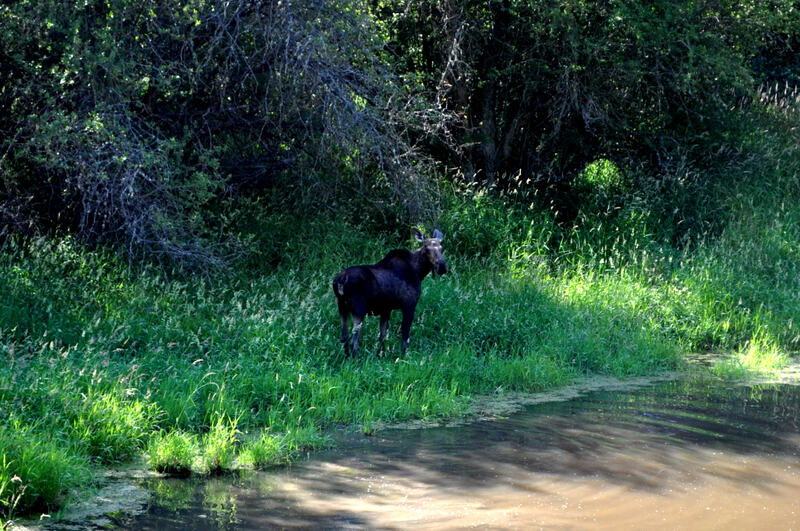 I wasn’t expecting to see a moose standing in the marsh off the side of the freeway. But I did. And I didn’t think I would overreact if I did see one. But I did that, too. I think I squealed and bounced and stomped. I even had tears in my eyes, I was so excited. Unfortunately, she was spotted at the bottom of a mountain pass, so we had to climb to the top before there was an exit to turn around and head back down. But when we made our way back to her, she was still standing there. I jumped out, took some pictures, told her she was pretty, asked her if she wanted to come home with us, you know, all the things you are supposed to do when you finally (FINALLY!) spot a pretty little moosie. Apparently she wasn’t up for coming home with us, because she turned and headed away from me. I have apologized profusely for scaring the be-jeebers out of Rob, and have promised to try not to do so for at least another 11 years. (Apparently there was a similar incident about 9 years ago when I spotted a Dairy Queen. I was pregnant with William at the time, so at least I had a good excuse.) Next time I spot something of interest, I am to calmly say, “Honey, will you please stop the car.” There are no guarantees, but I will try my best. This entry was posted in Daily Life, Family Adventures and tagged Coeur d' Alene, drive, lake, marsh, moose, pictures, postaday2011, Spokane. Bookmark the permalink. 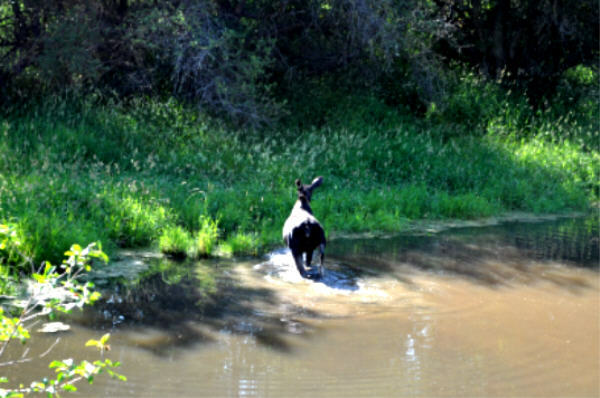 Wow – a moose – and you got some pics! Quite an achievement I would have thought. I feel your excitement!